The Extra Lives Show: Episode Zero! Tonight we test our new podcast over Google Hangouts, talk early access, pre-order bonuses, Rise of the Triad, Risk of Rain, You Don’t Know Jack, and much more!! Extra Lives is an all new video game podcast brought to you by Kyle McCauley and Kyle Penrod (formally of The Backwards Compatible Podcast) where we get down to the nitty gritty and absolute fun that is the wonderful world of games. Great question anonymous stranger! While we’re frothing at the mouth to start this podcast, we don’t quite have everything we need just yet. So we figured why not release a half baked product in it’s place until we are ready! When everything is said and done we’ll be recording every week (probably Saturday evenings) via Google Hangouts On Air and releasing both a video version (similar to the one above) and a tired and true audio version of the podcast via our website (forthcoming) and of course at the ol’ CarpeGM.net because we love those guys! Until then feel free to join us in the chat while live on the air (via Google+) every week and let us know what you think! Our Rating and Review Raffle is still on! Act fast, it ends 1/1/2013. See http://carpegm.net/contest/ for more details! !! !Spoiler Alert!!! This episode contains major spoilers for Wreck It Ralph!!!! Topic - In this episode, we answer(?) yet another listener email. Then we tear into Wreck It Ralph with a GM’s eye. We loved the movie and discuss ways to emulate video games in your table top RPGs. A few weeks ago, I was generating the show notes for an episode of the Gamecast. I had just reached the point where I was adding the little button that asks our listeners to “rate and review us on iTunes”, when I realized that I don’t rate and review the shows that I listen to! In the spirit of “support, support, support”, I decided to do just that. I asked my co-hosts to do the same. The following list of podcasts is not necessarily all of the shows that we listen to, but they are the shows to which we gave a 5 star rating. We posted the ratings and reviews on iTunes to help support the shows individually. I have compiled the following list, hoping to spread the word about some of these great shows. I hope you find something you like. If there are other shows that you guys think we should listen to, feel free to let us know in the “comments” section below. CLICK HERE to read more reviews of this podcast, or write one of your own. – This podcast’s knowledgeable and engaging hosts have free form discussions about a wide array of topics. I didn’t realize it before I listened to this show, but, apparently, I too am an “Action Nerd”. So with that being said, heed the call to arms…..
– Kevin Smith is back again with a new podcast, and just like all of the other ones, it’s about something he loves….The Caped Crusader himself! The Dark Knight returns in podcast form. Every week, Kevin brings on a new guest to talk about The Bat, Mark Hamill, Paul Dini, and Adam West to name a few. His love for the character may only be matched by the respect that he holds for those that are involved with the work. I hope to see Christian Bale, or some of the other people involved with Nolan’s Dark Knight trilogy. Another great work presented by the Smodcast network! – What else is left to say about these guys? They’ve been around for a long time and have inspired countless game ideas. With the evolution of the roster of hosts throughout the years, they could literally start over from episode 1, re-discuss the topics, and have entirely different conversations. All of which, I’m sure, would be stimulating, informative, and enlightening. A must listen for RP gamers! – So much information and great banter packed into 30 minute episodes. This is a great show with intelligent and informed hosts who care about the subject matter. These guys do a fantastic job with production and really do their part to give back to the community. Check them out!! -Once a week, Kevin Smith brings his friend, Ralph Garman, a man of 10,000 voices, to talk about the ins and outs of Hollywood business, including movies, celebrities, music, with a sprinkle of nerd news and pop culture. The conversation usually takes an adult and funny twist, with Ralph portraying some of my favorite characters, including, “McDonald’s Fry Girl”, “The Cosby Clown”, and “The Gay Ghost”. I recommend this podcast to anyone who enjoys Kevin Smith’s brand of dark, twisted humor. – Ben Gerber is a man of many talents and many projects. This show explores indie gaming from the perspective of an indie game designer. The host is a font of knowledge on the topic, a good speaker, a skilled interviewer, and has a knack for understanding game mechanics that makes for some fantastic game reviews. It’s all packaged in a show with very good audio quality that functions beautifully as a platform for getting the word out on new games and game systems. 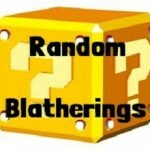 - The best World of Warcraft news and commentary this side of the bleeding edge. Scott, Dills and Turpster guide you through the cake of this week’s WoW, without making you read every blue post or data-miner’s forum, and do so with the flavor of their own perspectives, the filling of their experiences, and a nice frosting of funny. Is it a cupcake? Is it a doughnut? – An absolutely amazing show! PFTD is a creative look at the hobby that we all know and love. The hosts have found the perfect mix of news, tips, gaming stories, and banter, giving the listener more RPG inspiration than any one show should be able to give. They’ve stoked the fires of my own gaming creativity numerous times since I discovered the show! -I cannot say enough good things about this show and it’s hosts. Ross Payton has an approach that allows him to get things done, not just in podcasting, but in his other ventures as well. I love the topics. I love the banter. Ross and Tom just really seem to “get it”. -The Jersey boys are back again! Walt Flanagan, Bryan Johnson, and Brian Quinn are Tell ‘em Steve Dave. Having been friends with Kevin Smith for years, they have many stories to tell. The laughs ensue with many yuks and some hot button topics. Walt’s outlook and attitude has inspired me! I hope everything works out after hurricane Sandy. A special thank you to all of these shows for filling the hours with entertainment and our hearts with inspiration.